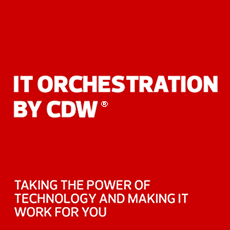 Mitel and CDW design unified communications experiences that keep people connected. Mitel helps companies connect, collaborate and take care of their customers anywhere, anytime, over any device. More than 60 million users in 100 countries trust Mitel as a leader in unified communications, thanks to its 40+ years of experience. Want a hosted, managed service from the cloud? Prefer to maintain onsite control? Want a mix of both? Mitel Connect is a business communications platform that does it all. With the flexibility to scale and adapt, MiCloud Flex helps growing companies communicate and collaborate more effectively, while providing superior security and diminishing downtime. In today's anytime-anywhere workplace, putting powerful business communication and collaboration tools in the hands of the workforce is essential to staying competitive. See why the organization trusts Mitel for its annual fundraising telethon. Hear how Mitel worked with the Pacers to improve ticket purchasing and connect fans with the team. Hear how Intelling teamed up with Mitel to power its customer experience and expand globally.